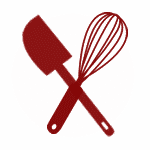 This is the first part of an super easy and delicious post that I’ll share later this week. (Chocolate Covered Kiwi Popsicles!) In the meantime though, I’m so happy to have discovered this method of peeling a kiwi, I just had to share it! 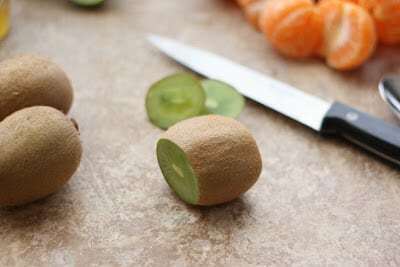 How do you peel a kiwi fruit? Am I the only person that didn’t know this? Is this old news? If so, why didn’t you tell me?! 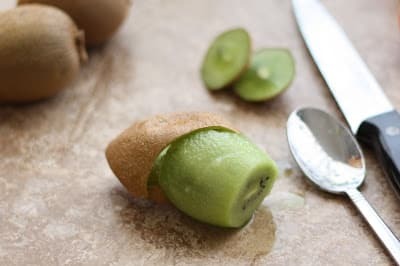 I peeled half a dozen kiwi fruits the other day in just a couple minutes. As an added benefit, they looked a whole lot nicer than any I’ve peeled in the past. Check this out! First, slice off the ends. Then, slide a spoon underneath the skin at one end. Rotate the fruit and slide the spoon all the way around the fruit. Repeat on the other end. Remove the spoon and gently squeeze the fruit and it should slide out of it’s skin without any difficulty at all. I’m still excited about how easy this was. I’d love to know; what other food prep tips might I be missing? When the first kiwi fruit I peeled last week wound up looking rather mangled, I decided to check and see if there was an easier way. Sure enough, there was! I found this short video, watched it and then tried it. Obviously, the method works and it is so very simple. I can’t believe I’ve been peeling them any other way. If you are wondering about the limes and oranges in the background, I was making this Honey Lime Fruit Salad when I took these pictures. Enjoy! Nice one! I love kiwi fruit, but hate getting any of the furry skin! You are amazing... I still can't do that with my spoon. I have a chef's knife technique book (from the CIA) that has a lot of different skills like this to pick up. I had no idea! Thank you so much and I would have told you if only I had known. Thanks again! Great idea. I had to peel like 10 kiwis for St' Patricks day to send in with Taylor for a green food and it did take me forever. I think I must have used my vegetable peeler. This is a great tip! 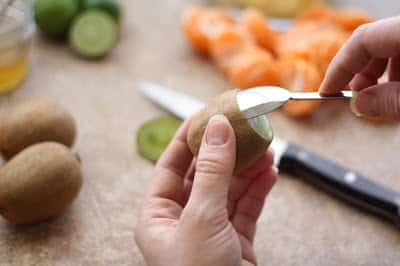 That is a great way to peel kiwi- its so simple! OMG!! This is brilliant - I actually avoid using kiwis as I hate peeling them but Ive just tried this and it works a treat!! Thanks so much!! I'm so glad you liked it! I was thrilled to see it actually worked too. Check out these 18 tricks for preparing foo. Your made it in there. But not the finished product. I'm going to watch that video now. Thanks! Thank you for allowing me to your website. I’m so excited to find someone that enjoys canning As I do. I’m in Southeast Texas. An I do have almost a A continuous supply of fruits and vegetables to enjoy and preserve for later use. Looking forward to a New found contact & email friend. Again, thank you.